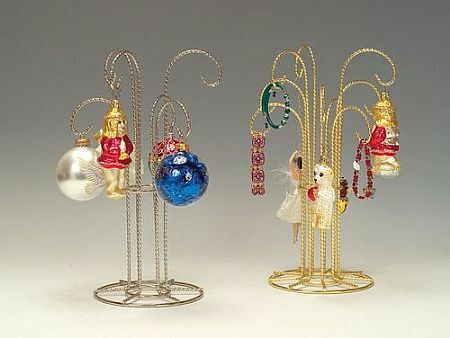 This set of four multiple ornament stands is the perfect way to get your collectible ornaments on display. Group them together or put them in different areas of your space! Each stand has six arms for your ornaments. Available in a brass or silver finish to suit any style of ornaments and any decor. Each stand measures 5 1/2" diameter x 12" high and arms have a hanging height of 9 1/2".